The conference room can serve many purposes such as holding staff meetings, giving presentations, conducting board meetings or video conferences and it’s where you meet with important clients. Your interior design will influence the mood of everyone in the room, so you need a design that helps to create a relaxing and friendly environment. Your design should also portray your company’s image in a positive and professional manner. For this reason, you need to put some thought into the message you want to convey with your design and the following tips can help. How much space do you need? That’s the first question you need to ask when designing a conference room. Consider the size of your company and determine how many people will normally be present at the meetings. This will help you determine how much space you need now. However, you want the conference room to continue to be functional as your company grows, so design the space larger than your current needs. If you currently have approximately 25 people at your meetings, design a space large enough for 30 or at the most, 35 people. This way, you won’t have a lot of wasted space but you can still use the conference room comfortably as your business grows for several years. It’s also important to allow plenty of room for attendees to get up and move freely around the room because you don’t want clients feeling cramped and uncomfortable. Your Miami interior designer can help you determine how much space you need. Lighting is very important. The room needs to be bright enough for everyone to see clearly but not so bright that it feels uncomfortable. You also want the light to fill the entire room so there are no dark areas, especially over the conference room table. Having large windows is a nice touch, so you can use natural light whenever possible. However, you should also invest in good quality blinds to prevent glare or to reduce heating costs on those bright sunny days. Serving beverages during conference meetings can help make everyone feel more comfortable. To avoid having to send someone out for beverages and snacks, include a small kitchen in your design. The table is the most important piece of furniture in your conference room so put some thought into the shape. It can help make your meetings go much smoother when you choose the right design. Our experts here at J. 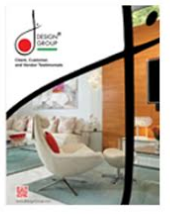 Design Group will review your needs and help you choose the best table design for your company. Another thing to consider is the position of the chairs. They need to be spaced far enough apart that your attendees can get up and down without bumping into each other and they need enough space on the table to sit, take notes and move around comfortably. The chairs should also have cushion seats and back support. You don’t want everyone thinking about how uncomfortable they are instead of paying attention to the meeting. A good conference room design can make a difference, so put some time and thought into your interior design.